They Took Me By Surprise! So, this week's topic was "Top Ten Books I Thought I'd Like MORE / LESS Than I Did." I didn't really want to focus on books that I thought I'd like more than I actually did (boo disappointment). So, instead, I chose to focus on the ones that I thought I'd like less but took me by surprise! 1. 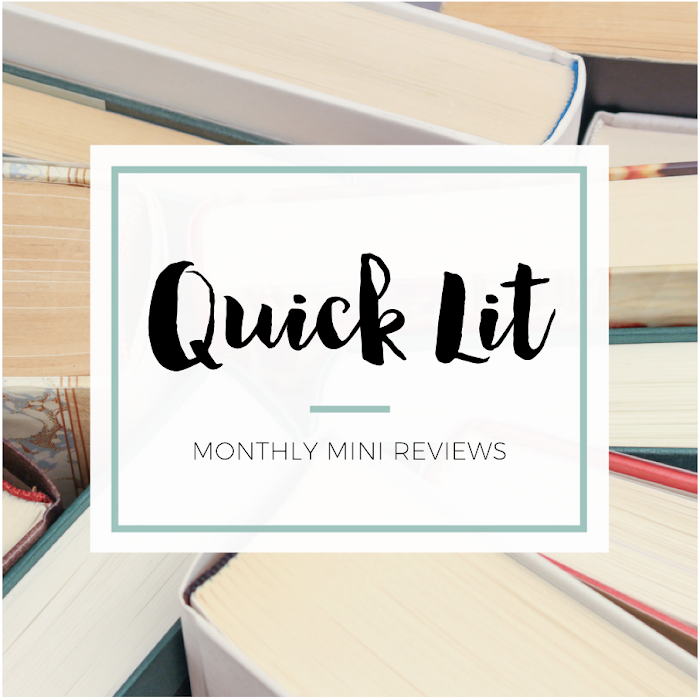 I Capture the Castle by Dodie Smith - I'd heard of this book and had even seen the movie trailer, but for years I thought this book was about something completely different than what it's actually about. So, when I first started it, I had different expectations and didn't think I'd like this at all. Thankfully, I was pleasantly surprised and fell in love. This was one of my favorite reads last year! 2. Pivot Point by Kasie West - I hadn't heard of this book until I read Asheley's review of it, and I was intrigued. Even though she really enjoyed the book, I figured it wouldn't be anything new or that the concept would come off strangely. Umm, I was totally wrong. This book was so great! I still haven't written anything about it, but it's definitely been one of the best surprises of the year so far! 3. Along for the Ride by Sarah Dessen - I'd always passed over Dessen's books, despite their popularity, because I was turned off by the juvenile covers. When I checked this one out from the library, I finally saw why everyone loves her so much. I didn't think I'd like her books very much, but I'm so happy that I finally gave them a chance! 4. The Scorpio Races by Maggie Stiefvater - The summary for this book is really odd, but I was willing to give it a chance when I saw it on sale for Kindle one day. I'm SO GLAD I bought it because what if I'd never read this book? That sale gave me the push I needed to purchase, and I'm really happy that I did. Despite thinking I'd find this weird, I ended up LOVING it and it's now one of my favorite books EVER. Yep. Ever. 5. Is Everyone Hanging Out Without Me? by Mindy Kaling - I'm not a serious watcher of The Office. Instead, I just catch a few episodes here and there or tune in when my brother is having marathon viewing sessions. So, when I saw that Mindy Kaling had published a book, I didn't feel like I HAD to read. But the title made me laugh, as did the first few pages, so I figured I'd give it a read. AND THEN I LOVED IT. I thought it looked good, but I had no idea I'd want to be Mindy's best friend after reading it! 6. The Vampire Academy series by Richelle Mead - I thought these covers looked dumb, and the concept sounded weird. And then I read the first book, and all of my skepticism vanished. Now, I recommend these books like a crazy person and promise people that they'll be so addicted they won't be able to put them down. I've been right every time - haven't had a single person not enjoy them! 7. The Harry Potter series by J.K. Rowling - Can you believe that I only read this series for the first time two years ago? I know, I know. I'm so dumb. But I'm sorry - better late than never, right? I thought I'd hate this books, and I was passionate about the fact that I "knew" these were not my kind of books. Then, I finished the first one and was really intrigued. After book two, I was sold. I didn't think I would like them, but of course now I LOVE THEM! 8. Daughter of Smoke and Bone by Laini Taylor - I liked the cover and had heard good things, so I knew I wanted to read this one. But I thought I'd be more on the fence about it - that I wouldn't necessarily like it because it was too "out there" for me. However, once I fell into Laini's crazy world, I didn't want to leave! She made me a huge fan with this book, and I'm looking forward to reading book two soon. 9. For Darkness Shows the Stars by Diana Peterfreund - As an Austen lover, I was a little wary of this book. I went through a phase where I read every Austen retelling/reimagining/sequel that I could get my hands on. And then I realized that most are just poor imitations. So, with that coloring my expectations, I didn't think I'd really like this book. I'm so glad I listened to a few of the rave reviews of it (Jamie and April, holla) because seriously this book is fabulous. Loved it way more than I anticipated! 10. The Hunger Games series by Suzanne Collins - I have to end with this one because 1) I was adamant about the fact that there was no way I'd like this series and 2) it really helped usher me into the world of young adult fiction. I'd read some YA before this, but not a lot of it. After this series, I wanted to read all the YA I could get my hands on! All that from a book I didn't really think I'd like... silly me! So with you on wanting to be Mindy's bff. Have you watched The Mindy Project? I've watched a few episodes but didn't really get into it. Do I need to give it another shot? Haha! Yes, VA has horrible covers! Pivot Point was so good - hope you get to read it soon! I still haven't read a Sarah Dessen book, for exactly the same reasons as you. The covers look like they contain the sort of stories I will never ever enjoy. I also haven't read any Maggie Stiefvater books, and all my friends can't decide if I should read Scorpio Races or Raven Boys first, lol. AH, Laini Taylor = my YA goddess, not even kidding. The second book was LOADS better than the first, also. I was pleasantly surprised by Dessen's book! I've read more since then and haven't really loved them, but that's just because they all follow a very similar formula that gets old the more you read them. I loved The Scorpio Races more but that's partly because I adore horses so loved that element of the book. Really excited to hear Taylor's second book is even better! I LOVED Mindy's book! I actually listened to it and may have pretended that we already were BFFs and she was just one of those friends who does all the talking. I'm glad you finally read a Dessen book! The covers are pretty lame but the content is some of the finest contemporary YA out there. I'm glad I finally did, too! Harry Potter is amazing! I didn't want to read it when I was younger and after seeing the first movie I did and loved them! There isn't any other series or book that I've reread that many times! I have only read HP once, but I'm totally planning on rereading soon! I have HP and HG on my list, too. I also really liked the Raven Boys way more than I thought I would and Mindy Kaling is hilarious. They really are so good! Seriously - give them a shot! Oooh, I've heard so much great stuff about Mindy's book! It sounds hilarious. I loved her show and watched it religiously for a while but it's just not as good now... I don't know, hopefully it gets better! Totally agree with on Philosopher's Stone too! I would definitely say it's my fave HP book! You definitely need to read it, especially if you've enjoyed her show! I didn't really get into the show - but I might give it a second chance. Glad you agree on both those books! I didn't like I Capture the Castle as much as I expected. I was really disappointed. I should read it again some time. It's definitely a slow read - but it was exactly what I was in the mood for and I didn't expect to love Cassandra's voice so much! I wasn't a huge fan of Is Everyone Hanging Out Without Me - but I LOVED The Scorpio Races too! The Scorpio Races was AHHHHHMAZING! Harry Potter was on my list, too. I keep hearing so many good things about Scorpio Races (and Raven Boys) - I need to check it out. I actually have to agree on the Hunger Games & Harry Potter -- before I started blogging, I was very suspicious of overly-hyped books and would almost never pick them up. Since I was already an avid reader, I didn't feel like I needed popular opinion to give me book ideas -- there were plenty of other books I had my eye on besides the latest "hit" everyone and their mother was reading. In these two cases, I did eventually pick them up, but I was very late to the party -- obviously I've now learned my lesson and have enjoyed these books immensely! Love that you were suspicious about both of those series, too. I'm glad I'm not the only one who often avoids hyped books. I thought the same thing about Pivot Point! So didn't expect to love it so much and NOT be able to put it down! For Darkness Shows the Stars BLEW me away when I wasn't expecting it. THANK YOU FOR FINALLY READING HARRY POTTER!! And I HAVE to read the Vampire Academy books soon....before BEA or Betty might kill me haha. There are quite a few titles on here that make me giggly and happy (particularly The Scorpio Races and Harry Potter and Along for the Ride and For Darkness Shows the Stars). I'm so glad that you enjoyed them much more than you expected to! I too had the same reservations about Vampire Academy, but now I'm thinking I may have to try it. If you could give it a chance and end up liking it, perhaps I will as well! Oh, I'm so glad you got past the cover to read one of Sarah Dessen's books! 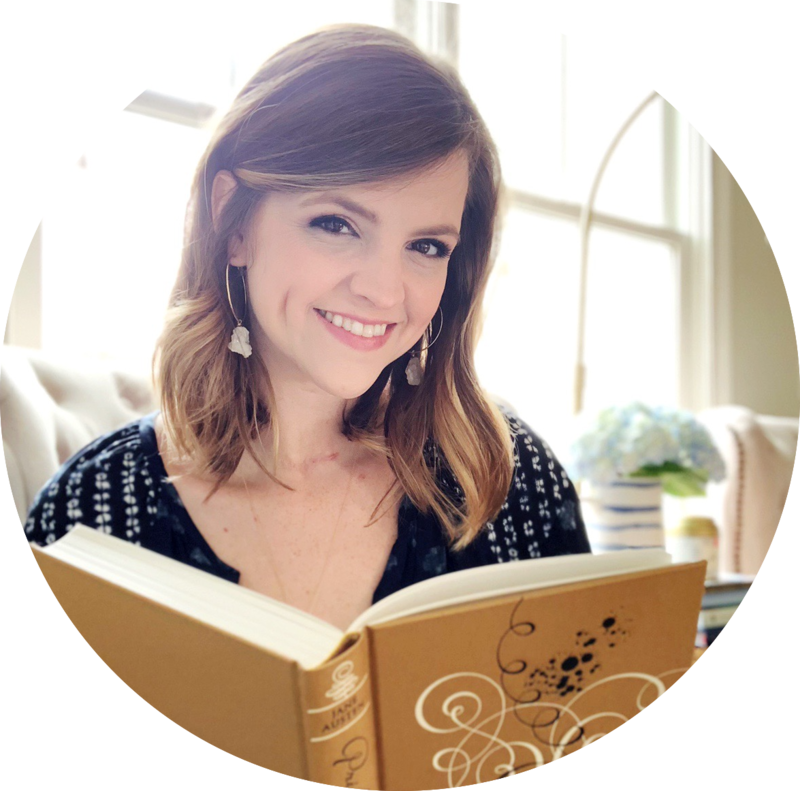 She's been one of my favorite YA authors since I was in high school, and I love love love hearing about people reading her for the first time. I'd be curious to know what you think of the redesigns her books have gotten this year—I prefer the old covers (probably mostly for sentimental reasons), but the new ones might not read quite as juvenile. I like the new book covers better for the most part - I definitely they're less cheesy! Still look very YA to me, but at least they aren't totally embarrassing to carry around haha! Oh, Vampire Academy. How glad I am that I picked it up. As you know, I'm completely obsessed right now (and no, I haven't even finished!) and while I was afraid that I wouldn't like it as much, I'm so, so happy that I read it. I can't wait to pick up The Scorpio Races and Daughter of Smoke and Bone, both of which I have bought this month! I can't wait for you to read both of those books! I think you'll love them!